Be prepared for an Abstract Indie Adventure that will take you on a journey through the subconscious and lead you to your own story. ALBERTON, South Africa - June 13, 2018 - PRLog -- Skobbejak Games, a small video game development studio from South Africa released their first PlayStation 4 title, 'n Verlore Verstand, on 12 June 2018. 'n Verlore Verstand is Afrikaans for "A Lost Mind" and refers to the abstract nature of the game as well as the sense of self interpretation instilled in the player. 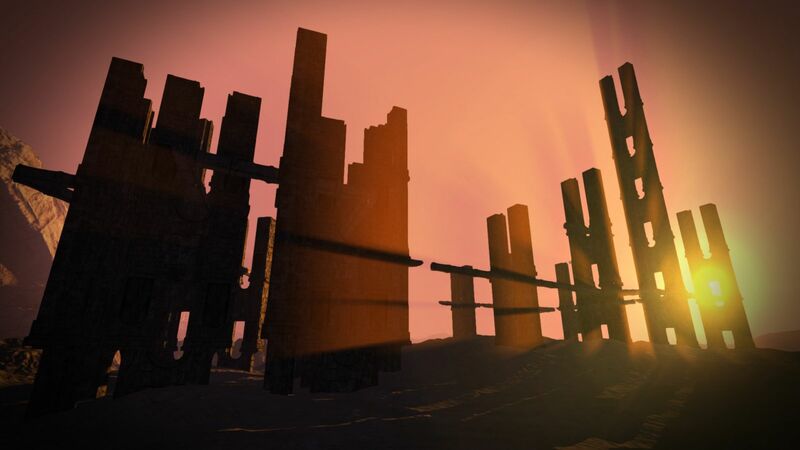 The game tasks the player to go through a myriad of strange and ominous levels, testing them with mazes, puzzles, traps and platforming challenges. "We are honoured to finally release 'n Verlore Verstand onto PlayStation 4, its a system we've admired for a while now and it was truly a joy to develop for it" said Tiaan Gerber, Director of Skobbejak Games. He added, "We hope that everyone enjoys the experience and we cant wait to hear what everyone thinks". 'n Verlore Verstand is described as an Abstract Indie Adventure, the abstract aspect is exemplified in the designs and themes of the levels as well as the game-play and interaction with the environments which challenges and pushes the player to try to find out more, while they start building their own personal meaning for the game. About Skobbejak Games (Pty.) Ltd.
Skobbejak Games is a two man indie game development studio based in Alberton, South Africa consisting of Tiaan Gerber and Alexander Ehlers and established in March 2013. As a company Skobbejak Games wants to always innovate and create games that are interesting and different but as gamers we want to create experiences that will provide other gamers with games that are above all else, Fun.